Sufficiently challenging your players at higher levels can be a difficult task for any DM/GM. With players of 15th level or higher who can take out creatures like dragons with relative ease, making encounters that are both interesting and a challenge can be tricky but ultimately worthwhile, if done well. Below I have prepared a number of encounters using 3 different sets of monsters, two of which are from Mordenkainen’s Tome of Foes, that have been designed to both be a challenge to a party and be interesting and unique encounters. 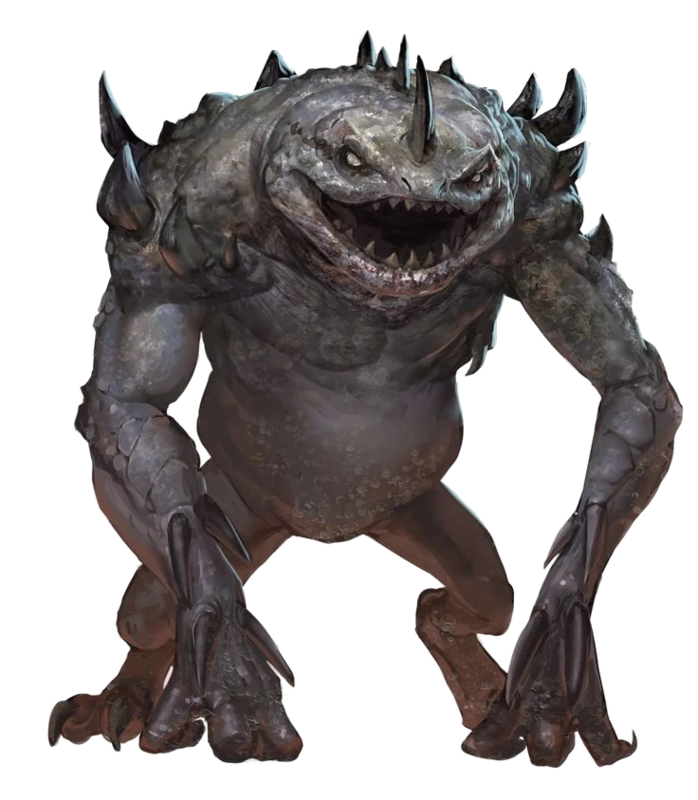 The Slaad are a perfect creature to use as random encounters while travelling, regardless of location or setting, due to the fact that the more powerful Death and Gray Slaad can both cast Plane Shift once per day. To add to the fun, they are also able to hide their forms by casting invisibility, or shape-changing in to a humanoid form, allowing Slaad to be used effectively in any environment or situation. There are two effective ways that this particular group of Slaads can be run in combat, depending on whether the encounter takes place in an urban or rural environment. While in an urban environment, the encounter should begin in a crowded street, with each of the Gray Slaad being shape-changed into unassuming commoners, likely humans, that the party are going to ignore or at the very least not assume are actually bloodthirsty aberrations, while the Death Slaad concentrates on the spell invisibility. At a point the Game Master finds appropriate have one of the Gray Slaad’s change back, strike down a commoner, and then either cast invisibility or shape-change into a different commoner and hide into the now panicked crowd. Initiative should be rolled at this point and on each turn thereafter, the three Gray Slaad should spend its turns either switching between Slaad and humanoid form, or striking down a random commoner with either its claws, or by casting fireball to slay large numbers of them. The players will have to both be on the lookout for these Slaad attacks, as well as fighting their way though panicked townspeople to get to them. This should continue for a couple of rounds, at the Game Master’s discretion, after which the majority of the crowd will have escaped the area. At this point, the party is likely to be known for their heroics, unless they’re not prone to such acts, so guards or other enforcers are unlikely to engage upon recognising the party. Once the crowd has dispersed you may choose to have the Death Slaad dispel its invisibility spell as the Gray Slaads turn their undivided attention on the players, or you may choose to wait until the Gray Slaads are significantly injured by the party. The Slaads are unlikely to fight until slain, instead using their ability to plane shift once per day to their advantage. In a more rural environment the encounter will likely be more typical. Perhaps the party have heard rumours that a group of spirits have been haunting a particular road through a forest, and that bodies have been found either ripped apart or magically burned, though this rumour would work along any lesser used road. 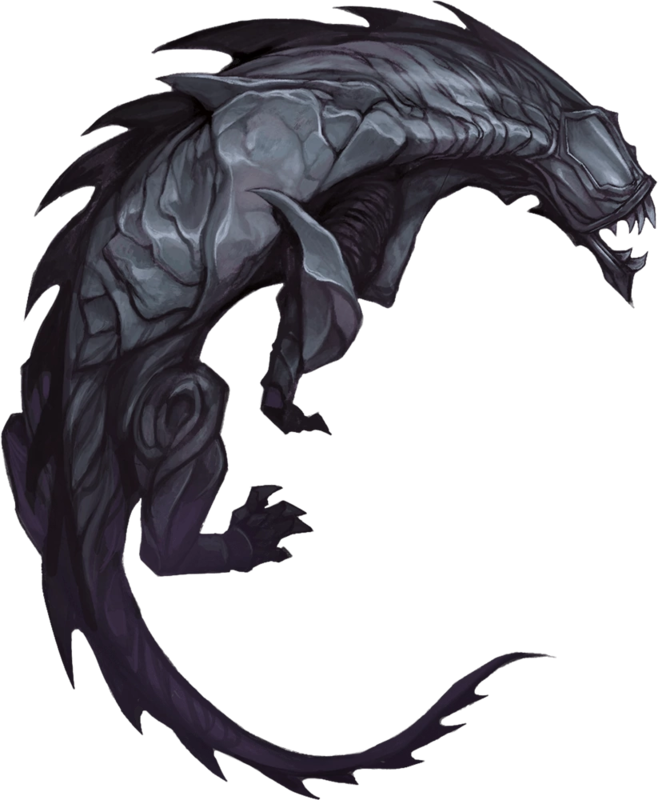 Once the party enter into whatever area you have placed these Slaad, have all four of the Slaad cast invisibility as they draw near. Roll stealth checks for each of the Slaads and check against the players passive perception, or have them roll perception if they’re actively searching. If the Slaads are not spotted, they will begin their surprise round by each casting fireball into the road, targeting as many of the party as possible, thus ending their invisibility. Like the example of the urban encounter, the Slaads are unlikely to fight until slain, plane shifting back to Limbo when they suitably injured. When using Slaad, one must remember that a Slaad acts truly chaotically. It is almost impossible to determine the true cause for any of their actions, as a Slaads only true goal is to cause chaos, through whatever means they see fit. As such the party may never get a rational explanation for when this particular group of Slaad decided to attack, as there shouldn’t really be one. 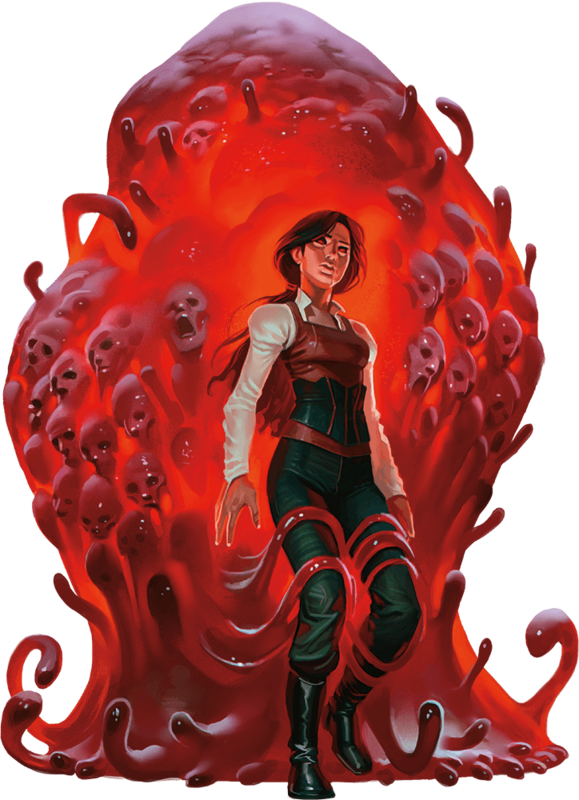 Another creature that works perfectly for high-level encounters are the Oblex from Mordenkainen’s Tome of Foes. Due to their ability to create simulacrums, one or two Elder Oblex’s are able to effectively disguise themselves as a large number of people, which is the idea that this encounter is based on. This encounter is designed for use while the adventurers are travelling as a random encounter, which begins with the party of adventurers coming across a pair Elder Oblex, posing as a pair of caravans travelling in the same direction as them. The caravan’s occupants claim to be merchants on the way to the nearest city, where first impressions seem to give away nothing out of the ordinary, except the faint smell of sulphur and the fact that the travellers are careful to hide their backs from the adventurers – an Oblex Simulacrum is connected to the main body with a strand of slime, which can give away the Simulacrums true identity. If the party do not act on their suspicions, or have none, one of the travellers will suggest that the party travels with them, for safety in numbers. If the party choose not to travel with the caravans, they will travel on ahead of the party and bid them safe travels. However, if they do choose to accompany the Oblex’s, once the group decides to stop for the night and the party begins to rest, the two Elder Oblex will leave their caravans and advance on the sleeping party, intending to start by attacking whoever is on watch, if anyone, before moving onto the closest sleeping target after. Perception checks should probably be made by sleeping party members, in an attempt to notice the creatures roaming around the camp. This encounter works well due to the fact that, no matter how high-level a party is, a surprise attack can seriously challenge them, especially if that surprise attack came at a time when most of the group is asleep and helpless. If the party weren’t suspicious of the intentions of the Oblex’s then this can also come at quite a surprise to them. If you find it appropriate, the Elder Oblex’s can also attack during another random encounter, if you feel that the party is suitably distracted. The Oblex may also choose to attack right after another random encounter, if the party are sufficiently injured. Steel Predators are the perfect encounter for a high-powered game; with an equally powerful villain. With the ability to get anywhere it desires, due to innate castings of Plane Shift and Dimension Door, paired with the fact that anyone with the right connections and enough money can acquire the services of one, the Steel Predator becomes an incredibly versatile monster. Two Steel Predators on the other hand are a threat for even the most powerful of adventuring parties. It is likely that the villain of your story contracted these creatures, knowing the heroes are coming scarily close to thwarting whatever plan they may have. Alternatively, if your party are less benign in nature, a kingdom or powerful guild that the party have caused substantial damage to may also be wealthy, or desperate enough, to call upon such powerful assassins to deal with the party. It really depends on what kind of enemies the party have managed to make. Due to the abilities of the Steel Predator, an encounter with such a creature can occur in any environment and at any time. Maybe the creatures attack the party while they’re resting, or mid way through a particularly testing dungeon. Wherever you choose to use them, the combat will likely be similar. Have the Steel Predators appear near whichever character appears to be the weakest. They’ll use their surprise round effectively, using their stunning roars to affect as many of the party as possible. After that they’ll attack as a pair systematically. You may feel it appropriate to give these Steel Predators pack tactics, or a similar feature if you find it necessary. Steel Predators will fight until destroyed; it’s easy for their creator back in Sigil to create more of them, so the constructs are aware it’s more useful to destroy their targets and be damaged beyond repair, than it is to retreat when too much damage is done to them. There is another way that this can be run that allows you to tie the encounter into the world in a different way, which is to have the Steel Predators have a different target to the players. Perhaps they have entered a small village to find someone being chased down the street by a pair of the mechanical assassins. It’s now up to the players whether they choose to encounter, or to let the poor soul get ripped apart by Steel Predators; its clear that no matter how powerful or experienced you choose the target to be, that they’re still not a match for two Steel Predators (even one of them is a deadly encounter for a single level 20 character so most single creatures have no hope against two on their own). You’ve also got to consider why this target has been chosen, what have they done? Who called in the Steel Assassins? Is this person a criminal who has committed something heinous, or perhaps they were framed for something they didn’t commit? It may even just be a case of they saw something they shouldn’t have, and were simply in the wrong place at the wrong time. This is all up to you of course, and demonstrates how versatile just throwing two Steel Predators into the mix can be. 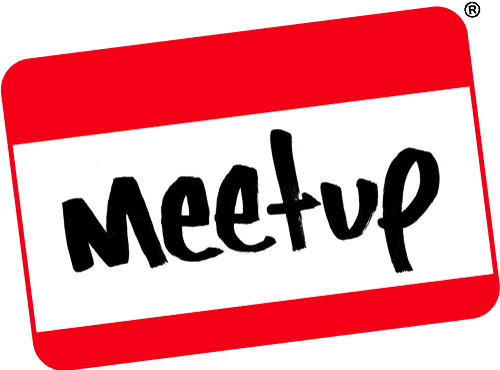 This entry was posted on October 25, 2018 by GeekOut Team. It was filed under Gaming posts, RPGs and was tagged with D&D, DND, Dungeon Situational, Dungeons & Dragons, Dungeons and Dragons, High-Level Encounter, Mordenkainen's Tome of Foes.